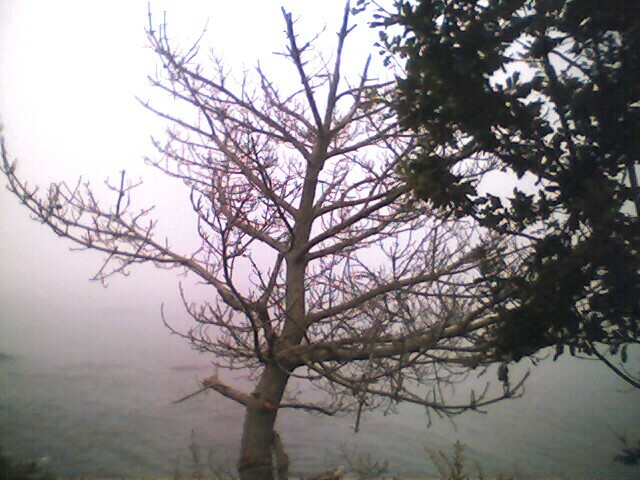 I noticed this dead pine tree along the Newport Cliff Walk and thought it looked interesting. It was a very foggy day. Off in the distance you could hear the occasional announcement from a loudspeaker advising swimmers to stay close to the shore so the lifeguards could still see them.